Wedding remains the penultimate event in any person’s life. Regardless of one’s social background, this event needs (rather demands) everyone to be at its best. And rightly so, after all it is the pinnacle of one’s life. The happiness one feels that day is unsurmountable and is totally justified. This happiness and joy is manifested through the lavished dresses and outfits people adorn. With all the type of expensive and shiny accessories, men and women (especially the couple itself) roam around to show off their dresses and ornaments. Watches, wrist watches, have come to occupy a permanent position in men and women’s outfit. Wearing an elegant watch makes a perfect style & fashion statement on your behalf. Buying the classic and elegant watches from bdhaatwill demonstrate, how powerful a watch can be. Selecting gifts for someone’s wedding could be tricky. Especially, in men’s case when there is so much little to choose from. The idea of colorful clothes and jewelry is out of the question. But seeing the popularity of watches, one can safely assume that a graceful and well-designed watch can be an ideal gift for the groom. A watch is nothing less than a person’s signature. For groom, it is imperative to have his wrist adorned with a classic and elegant timekeeping device. Longines DolceVita could be the ultimate gift for a groom. The rectangular stainless steel chain has the capability to outshine all other watches. With a scratch resistant sapphire crystal, it lasts quite longer than other watches. It is quite convenient if you order it from Kaymu as they happen to offer a delivery option as well. But this is not it. Other major brands like Versace, Saint Lauren, Ralph Lauren, Armani and Dolce & Gabbana have one of the finest watches for men in town. So, gifting this type of watch will save you from a lot of thinking hassle. 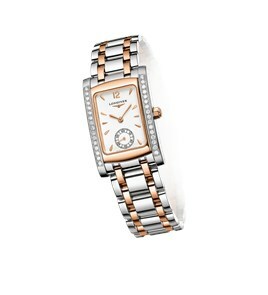 Since the bride is already bombarded with all the jewelry, finding a watch for her is a difficult task. You need a watch that can outshine all other stones and adornments. 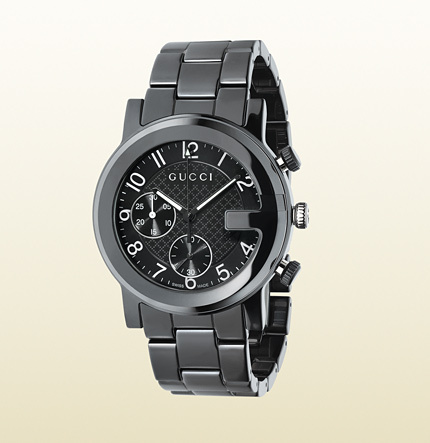 Start with the Gucci store which has one of the rarest and best quality watches for women. A black ceramic watch, for example, from the G chrono collection could be the ideal gift for the bride. The Swiss made black ceramic with quartz movement has a silver dial in it. It is this contrast of black and silver that makes it kind of perfect for a woman’s wrist. Buying it from marketplaces like easybazar24will cost you less in terms of logistical problems. At least, the problem is off your head now that you have decided what gift are you going to give to your friend on her wedding day.